Looking for a 'wildly' entertaining game for indoor fun? 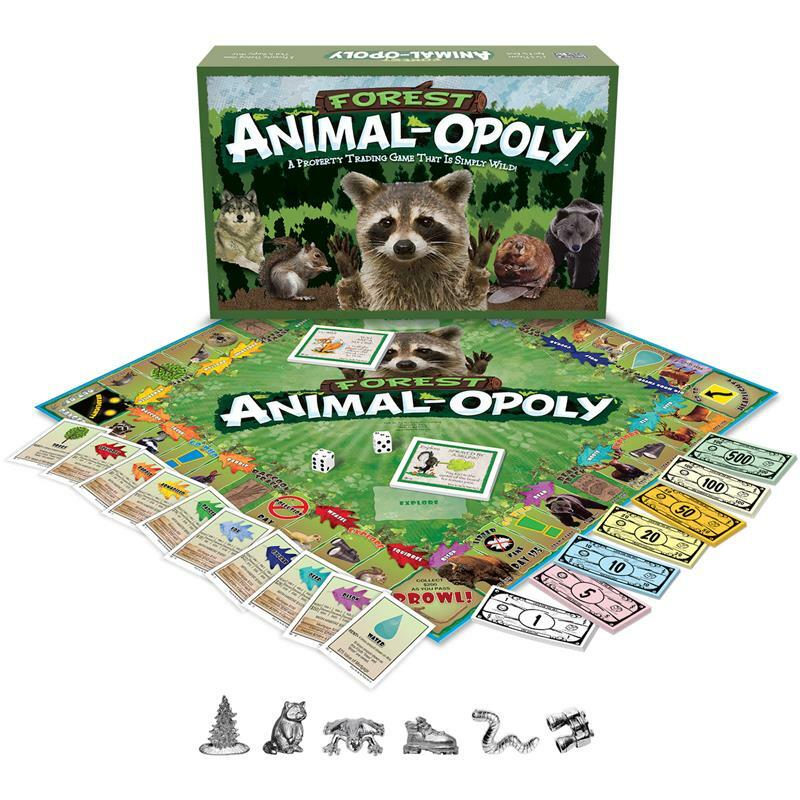 This monopoly-style play features forest animals, for 2-6 players, ages 8 and above. Get to know raccoons, birds, beaver, skunks, grey wolves, and other forest animals. Collect your favorite forest animals. Be the “Best Caretaker of the Forest” by providing food and water for the animals. While playing, flip over the deeds and read fun facts about each and every animal. Did you know bears tend to place their feet in exactly the same place every time they use the same trail? -And bear families use the same trails over and over for generations? -Or that the phrase “playing possum” is based on an opossum being unable to flee because of an involuntary shock-like state? Be aware - land on GO TO HEADLIGHTS... and you’ll be caught in the headlights and out for 3 turns!